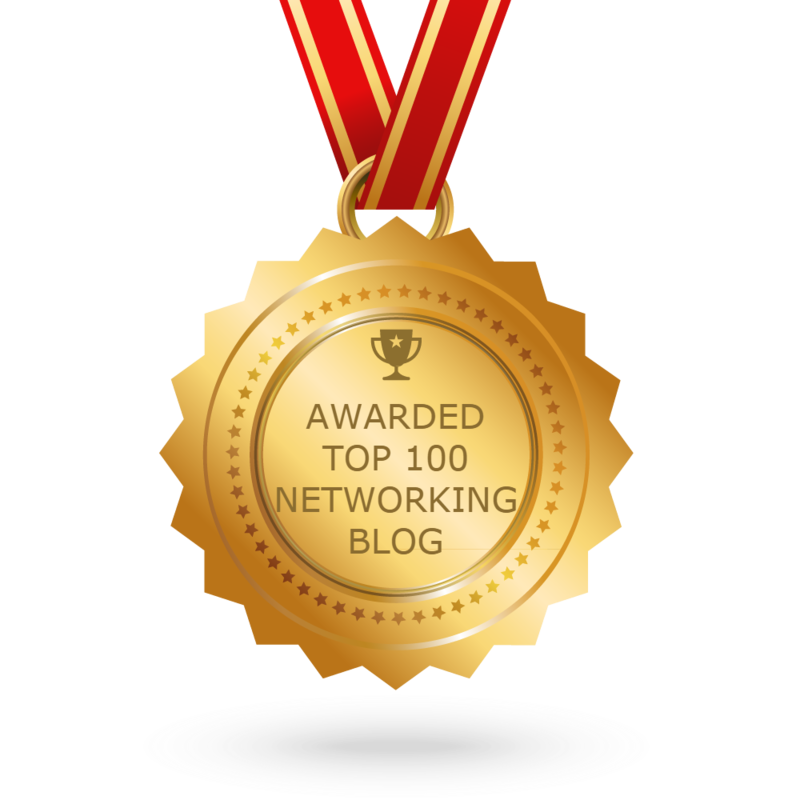 In celebration of 12th Anniversary, Router-switch.com, the leading Cisco supplier, has prepared a big sale on top 100 Cisco devices for customers in July and August. 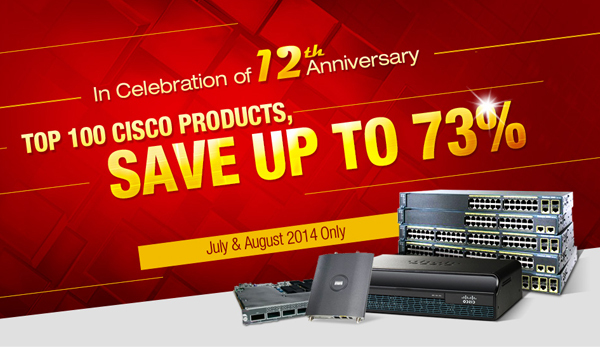 You can enjoy a big discount, up to 65% off when you purchase some popular Cisco switches, such as WS-C2960-24PC-L, WS-C2960S-24TS-L, WS-C2960X-24TD-L, WS-C3750X-24T-L, etc. Cisco routers like CISCO1921/K9, CISCO1941/K9, CISCO2911/K9, CISCO2921/K9, Cisco router License, Cisco SFP & Network Module and so forth. 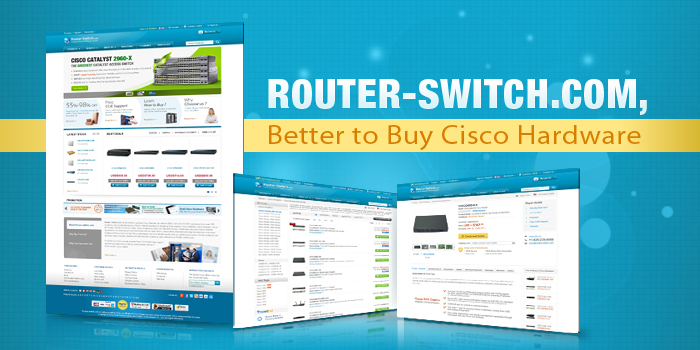 Router-switch.com, as one of top Cisco suppliers with 12-year experience, is proud of building a close cooperation relation with its global customers, especially in South America, Middle East and Africa. It is famous for providing full series of original Cisco products, including Cisco routers, Cisco switches, Cisco firewalls, Cisco IP Phones, Wireless Access Points, Cisco modules & cards, etc.at the best price.